Oman is one of the Arab countries who is a prominent oil provider in the world. Being located in the Gulf area, Oman resides to UAE, Saudi Arabia, Yemen and rest of the boundary it shares with the Indian Ocean. Due to the fact that Oman is one of the nearest gulf countries to reach out from outside, Oman always keens on trading their products through shipment routes. India and Oman had a great history of trade as Oman was the entrance for trading in gulf countries. The relation between Oman and India is still continuing their good alliance and many Indians are still migrating to Oman for job purposes. Due to frequent migrations, many Indians have to do Document Attestation through Attestation Companies. Attestation such as Education Certificate Attestation, Marriage Certificate Attestation, Birth Certificate Attestation, Indian Degree Certificate Attestation, etc through officials channels to get into Oman. If you are interested to know more about Oman attestations services, you can refer “Oman Embassy Attestation Procedures”. The educational certificate is one of the main pieces of the document which need to be presented for the work permit and visa formalities of Oman. Not only Oman But Majority of the Gulf countries also follow this rule to provide visa and work permit when any foreigners want to work in that particular country. Here we are explaining that how the process of Education certificate attestation being performed at the government level. Noted point is Oman is a member of Hague Convention, hence they will be requiring an apostille at the final stage rather than a pure attestation like many other Gulf countries. Once the certificate is apostille, the same certificate does not need to be certified for any other Hague Convention member country since all the details will be available in their official site. The process of attestation going to explain here is an attestation without involving state HRD department. Here attestation of educational certificate start with notary attestation and the notary attested certificate can submit at sub-divisional magistrate at New Delhi. 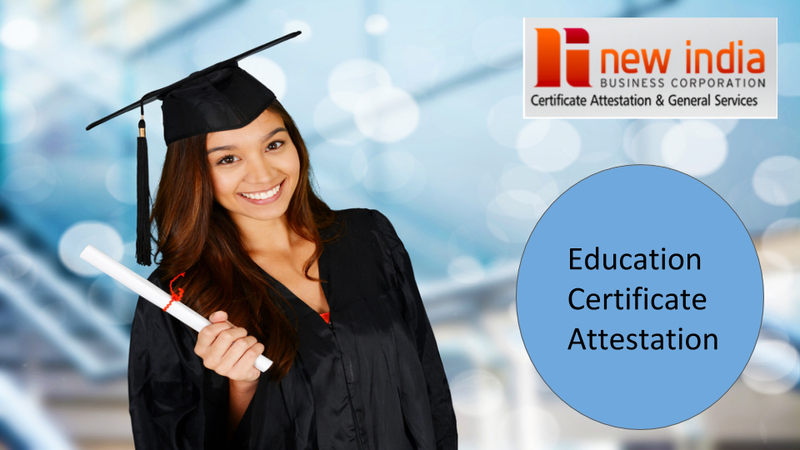 For attestation, the original certificate should be obtained from the university. It is mandatory to have your highest Engineering Certificate Attestation for Oman. For proving the citizenship candidate own, a copy of the passport should be submitted along with the original certificate. Here the first step of attestation is to do the notary of a certificate from the capital city itself. Once the certificate has notary attested, a candidate can submit the notary certificate to a sub-divisional magistrate for further Certificate Attestation Procedure. Notary attestation is a local attestation done by the candidate before submitting the certificate to sub-divisional magistrate. The sub-divisional magistrate will receive the certificate after notary attestation and they will do the verification from the central level to know the source and credibility of the certificate. Based on the verification report, SDM will decide whether the certificate needs to be attested or not. They have their own criteria for the same. When they attest the certificate after the successful certificate. Unlike other non-Hague convention gulf countries, Oman requires an apostille of certificate rather than a normal attestation. Hence, once the certificate received from Sub Divisional Magistrate, Ministry of External Affairs will verify the attestation from SDM and their remarks. Based on their certification evaluation, MEA will attest the certificate and this final set of attestation from India and the certificate will be considered as Indian approved apostille certificate. With a special stamp and attestation, the government of India will upload the document details to the official site of Hague Convention. NEW INDIA attestation services offer the best attestation services all across GCC and Gulf region and provide various attestation services at reasonable attestation charges. A normal attestation and Apostille of Educational certificates will be done within 7 Indian working days. NEW INDIA being the best Indian Certificate Attestation Services in Oman offer the value added attestation services in Oman. Here the attestation procedure followed a bit different and more authentic way than the earlier described one. The major difference is that this particular attestation process goes through the state HRD department. On an overall flow, After candidate submitting the certificate at the state HRD department, certificate credibility will be checked by the state home department. They will send one investigator to the source institute of the certificate to verify the certificate and its existence. The investigator will check the real data and will submit the report back to officials at the home department. Once the certificate finds genuine, State HRD will attest the certificate and send it to Sub-divisional Magistrate at New Delhi for further certificate process. Original certificate to be obtained from the university for legal attestation and it is mandatory to have the higher education certificate for attestation. To prove your identity and citizenship, a copy of the passport needs to be submitted along with the original education certificate. After the state certificate attestation by State home department, a certificate will be passed on to Sub-divisional Magistrate for further attestation. SDM will check the certificate attestation done by the home department and will check the remarks they have provided. The home department already did a thorough investigation at ground level to recall the certificate credibility. After the checks by SDM and based on the facts, they will attest the certificate and will pass on the certificate to MEA for their education certificate attestation. MEA attestation would be the final attestation step from India. Once the certificate received from Sub Divisional Magistrate, MEA will check the certificates and the remarks mentioned by the state home department and SDM. Since State department already submitted the clearance report and SDM verified it, MEA will attest the certificate without any delay and this certificate will be considered as the official document for the candidate from India. Since Oman is a member of Hague Convention, Oman require an apostille than attestation. Hence MEA will apply a special stamp in the attested document along with uploading the information of the candidate certificate to Hague Convention official site. The special stamp will also have a chip in it which also have the certificate and personal information. Often these attestation and apostille services are the slow-moving processes and it takes a toll to follow up and no one can’t predict the day all this process going to complete. In such situation, a reliable Professional Attestation Services will come handy and can complete the attestation or Apostille of educational certificates or any certificates within 7 Indian working days. NEW INDIA Attestation, being the Best Attestation Services in Oman offers Fast Certificate Attestation at reasonable Attestation Charges. NEW India is updated with all new development in Certificate Attestation Requirements and also provide Urgent Certificate Attestation as and when customer need it urgently.